Hire RushEssay.com for Editing. We’ll Make Your Paper Great! Why Do I Need Editing for My Papers? It really does not matter how good you are at writing – no person can write a perfect paper the first time. This is why every good paper has a first draft, second draft, etc. Of course, you can do this by yourself, but editing a paper you have written is not always a good idea. If you have the time, it is best to save the work and get back to editing after few days, when you can see it with fresh eyes. However, if you want to be sure your papers are great, you must start a habit of getting editing help to review your content. 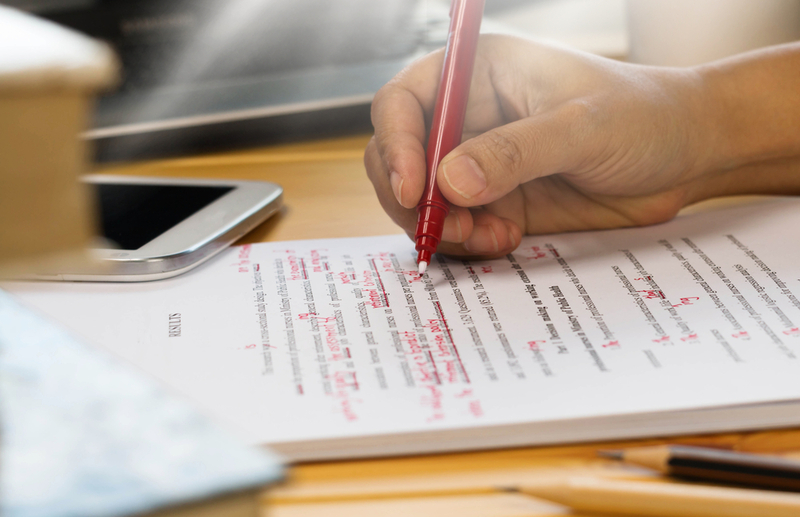 When students edit their papers on their own, they are often connected to their writing. This makes it impossible to see the paper as a reader, which is why you can easily miss confusing phrases and sentences or find a way to improve the word flow. Many companies will offer to edit your papers, so why should you choose our online essay editing service? Isn't this exactly what you've been looking for all along? If it is, it is time to entrust your papers with our experts and see our quality for yourself!